By 2014, the people of the Diocese of Niagara are recognized for the way their giving reflects God’s generosity, their honesty and faithful care of every gift, and the manner in which their resources are used effectively to God’s glory. They have established a high level of trust, and know that parishes working together are stronger together than alone. St. George’s has been working hard to cultivate a generous spirit among it’s members in how they reflect God’s own generousness to us through their time, talent, and financial support of Christ’s mission in our community and the world. In 2012, St. George’s held a second Time and Talent Auction that helped us to recognise and celebrate the skills and gifts that God has given us at St. George’s. 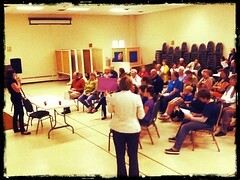 A sign up sheet was posted inviting people in the parish to sign up offering time and talents. Everything from a home baked chocolate cake to a lesson in sea-kayaking were put up for auction (read a full list here). Not only was money raised for the ministry of the church but, more importantly we all became aware of the wonderfully deep and rich pool of talents God had given our parish! In 2010, the leadership met with Jim Newman, our Diocesan Stewardship Consultant, to talk about year-round Stewardship and some of the many ways parishes can build and grow their stewardship programs. For almost 10 years, St. George’s vestry reports have included a Narrative Budget. Narrative Budgets are a great way to tell the story of how St. George’s uses it’s ministry resources to carry out its’ mission and ministry. Most budgets are all numbers and line items. A Narrative Budget uses words, stories and pictures to paint the picture. 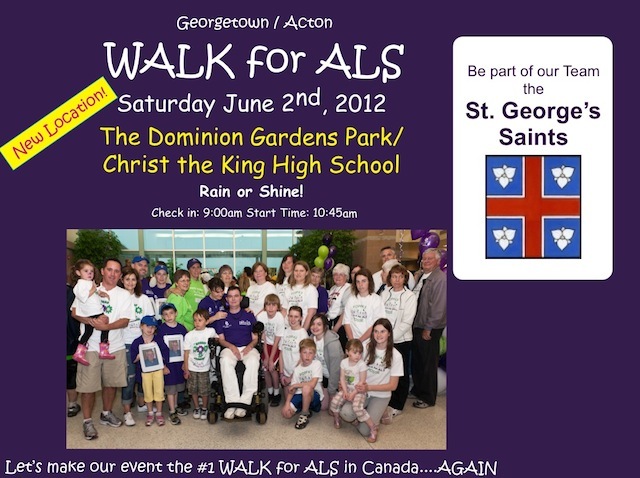 Starting 2008, St. George’s been a taking part in the Georgetown “Walk for ALS”. The “St. George’s Saints” have worked hard to support this good cause to help support the needs of families impacted by this disease and also to fund research into finding a cure. Check out our Diocesan “Generous Culture of Stewardship” website here.